Light and elegant, and ideal as an aperitif. Apples often come up in tasting notes. The only distillery left employing a true third distillation, apart from Springbank who produce Hazelburn for part of the year. In days gone by, the distillery was situated in beautiful surroundings at Old Kilpatrick (originally being built in 1800) by the River Clyde to the West of Glasgow. However, the city suburbs have now swallowed up the site and the view now includes the Erskine Bridge across the Clyde. Fortunately, this has not affected the quality of the whisky which ages particularly well for a Lowland malt. Auchentoshan also has the distinction of taking its water from Cochna Loch, a loch in the Highland region. 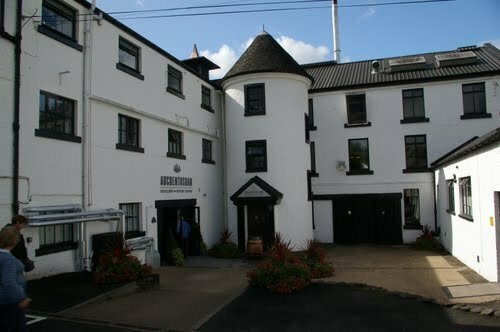 The distillery is now owned by Morrison Bowmore, which is in turn part of the Japanese Suntory group.